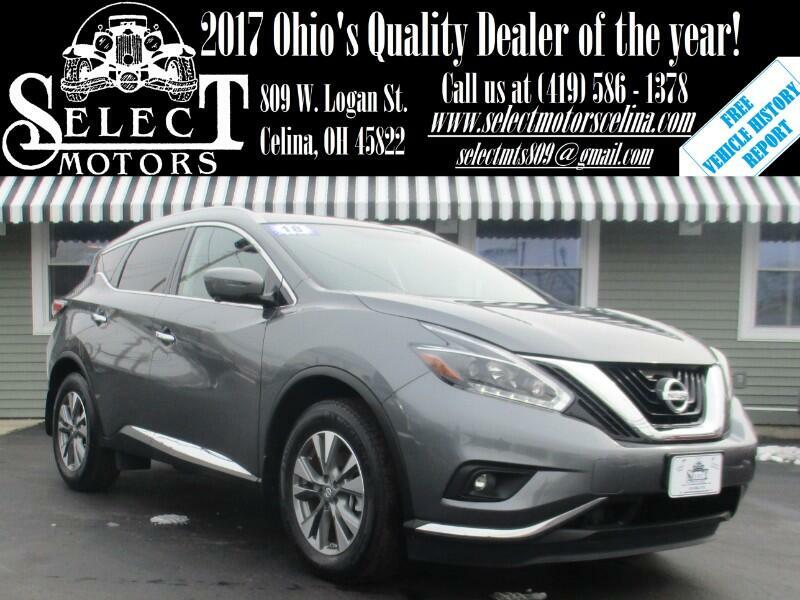 ***TXT US @: (419) 362 - 6200*** AWD, Dual Vista Moon Roof, Navigation, heated leather, heated steering wheel, power lift gate, Bose Sound, memory seats, backup camera, dual power seats with power lumbar, blind spot monitors, Bluetooth, keyless entry with remote start, automatic headlights, automatic dimming mirror, heated/blind spot/signal mirrors, dual automatic climate control, power windows/locks/mirrors, AM/FM, SiriusXM, auxiliary and USB port, steering wheel mounted audio controls, tilt and telescopic steering wheel, cruise control, information center, 18" alloy wheels. Warranties: Balance of Nissan's 3 year or 36,000 mile bumper to bumper and 5 year or 60,000 mile powertrain. In service date: 06/29/2018. Extended service contracts available.